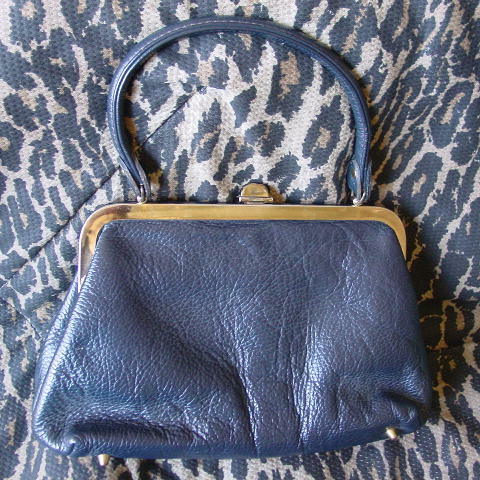 This very dark navy blue vintage leather handbag has 4 little gold-tone metal feet and the top back gold-tone rim has some tarnishing and light surface scratches. 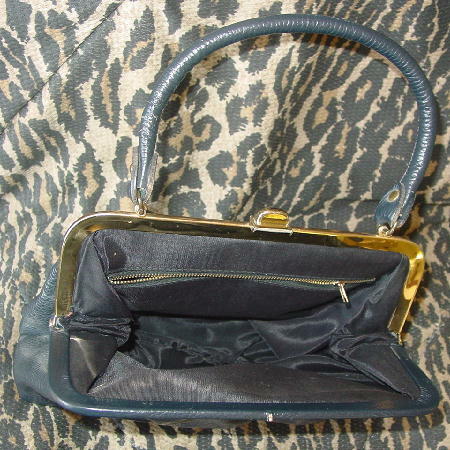 It also has a gold-tone clasp closure. 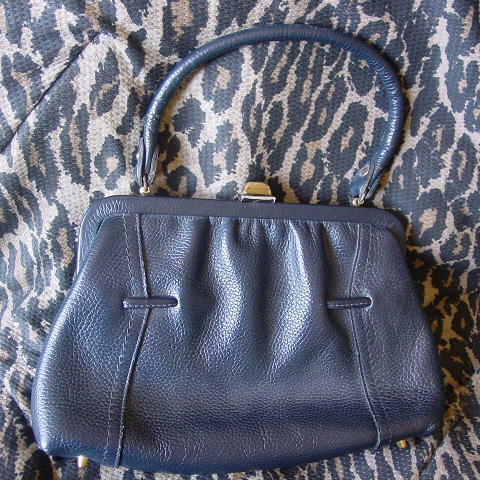 There is a black grosgrain lining and a large zippered compartment.